The Entertainment Software Association (ESA) interviewed researcher, game designer and author Jane McGonigal. Her newest book, “SuperBetter,” which releases September 15, explores a decade’s worth of scientific research into the ways games—including video games, sports and puzzles—change how people respond to stress, challenges and pain and how to cultivate new powers of recovery and resilience in everyday life simply by adopting what McGonigal calls a more gameful mindset. Read the interview below – with a big thanks to ESA for sharing! Please briefly introduce yourself and your work. I’m a researcher, author and game designer who has spent the past 15 years trying to prototype and provide scientific evidence for the ways in which games can help us become the best versions of ourselves: happier, braver, more resilient, better problem-solvers and better allies to our friends and family. 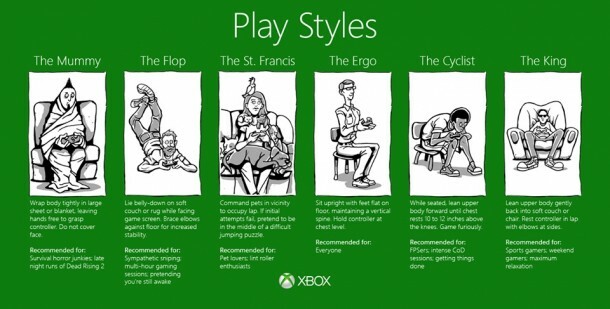 Most recently, my work has focused on how games can improve mental and physical health. There’s a rapidly growing body of evidence in the scientific literature that ordinary video games can be a powerful tool for treating depression, anxiety and even chronic pain. I’ve spent the past five years researching this topic – I’ve read literally more than 1,000 studies in the fields of neuroscience, psychology and medicine. 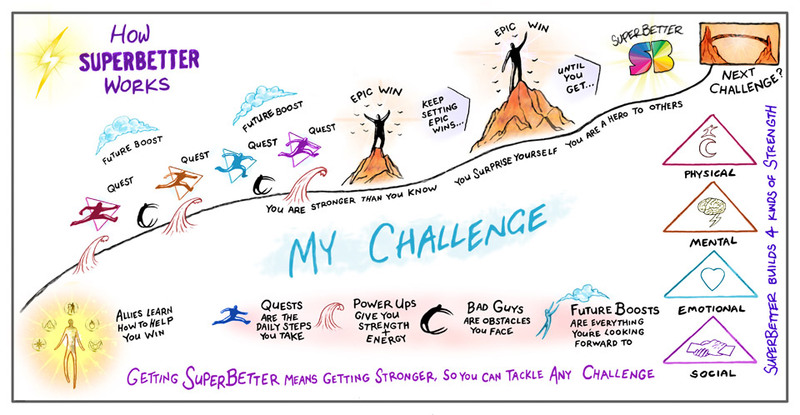 Now, I’m publishing my “SuperBetter” book to help get this entire, emerging field of research into the hands of the game-playing public and also game developers. I want the public to understand how video games can be played with purpose – that is, with the knowledge that you’re not just having fun, but you’re also developing important psychological resources, like creativity, determination, optimism, curiosity and resilience in the face of setbacks. And I want game developers to understand how to make games that bring even more of these benefits to their players. How did you first become interested in working with video games? That’s a very long story that starts with me researching and making games as a Ph.D. student at UC Berkeley, although I guess it starts even earlier, when I was 10 years old and designed my first video game with ASCII art on a Commodore 64 computer. But the really pivotal experience for me, more recently, in guiding me to the work I’m doing today was the mild traumatic brain injury that I suffered in 2009. Thirty-four days after the injury, I decided to try to bring my game designer skills to the problem, and I invented a game to help my brain heal and to deal with the severe depression and anxiety. That has been a real turning point in my game development career, as that game (SuperBetter) has now been used by half a million people to improve their mental and physical health and has created some amazing research opportunities for me with organizations like the National Institutes of Health. All of this has convinced me that game design is going to be one of the most important areas of research and discovery in medicine and clinical psychology over the next decade. What excites you most in your day-to-day job? Data! Scientific data is what excites me. Every time a new study on the real-life impact of gameplay comes out, I devour it. Even more exciting is doing original research and seeing the results. For example, with SuperBetter, we’ve done two major studies so far. First, a randomized, controlled study conducted by the University of Pennsylvania found that playing SuperBetter for 30 days significantly reduces symptoms of depression and anxiety, and increases optimism, social support and players’ self-confidence. The study also found that people who followed the SuperBetter rules for one month were significantly happier and more satisfied with their lives. More recently, a clinical trial funded by the National Institutes of Health and conducted at Ohio State University Medical Research Center and Cincinnati Children’s Hospital found that the SuperBettergame improves mood, decreases anxiety and suffering, and strengthens family relationships during traumatic brain injury rehabilitation and recovery. Honestly, there is nothing more exciting than getting solid scientific evidence that a game you’ve made is changing people’s lives and helping them get happier and healthier from extremely difficult challenges. Note from myself: It is interesting to see that Jane is addressing the four quadrants I always use to determine our key drives for game design: physical, mental, emotional and social elements. You can find them in the handouts (slide 34) for the Gamification Workshop presentation on this page. Of course these are based on the Insights model, which are based on Quinn… But I guess we – as human beings – are always looking for rational (mental), physical, emotional (social) and spiritual challenges: or active and passive events. Often spiritual is left out in favor of social. Maybe social can be the opposite of spiritual? Spiritual meaning: inside my mind, where as social means: outside my mind in interaction with others…? A decade from now, ordinary video games will be understood as an important tool in creating mental health and well-being. I forecast with very high confidence that games will be used to treat depression, anxiety, pain and post-traumatic stress disorder (PTSD) as a complement to, or in many cases be prescribed in lieu of, pharmaceutical treatment. Note from myself: Obviously Jane is talking about serious games here. Since 2010 we have published a lot of serious games in for companies like Foot Locker Europe and NN Global. Unfortunately we cannot disclose all of our projects online, but the ones we are allowed to talk (and write) about can be found on our project page. I’ll go with the scientific literature here again, and say that Tetris has been the most extensively studied game for accomplishing everything from preventing flashbacks after witnessing a trauma – so it could be used as a cognitive vaccine against PTSD; to reducing cravings for cigarettes and junk food by 25 percent – so it can be used as a tool in behavior change and fighting addiction; to creating the same blood flow patterns in the brain as meditation – so it can be used to improve attention and improve the body’s ability to recover from stress. Everyone should have Tetris on their phone. We should have PSAs explaining how to use it for all of these benefits. And I’m ready to give Tetris creator Alexey Pajitnov the Nobel Prize in Games. April 14, 2015 – Washington, D.C. – More than 150 million Americans play video games, according to new research released today by the Entertainment Software Association (ESA). 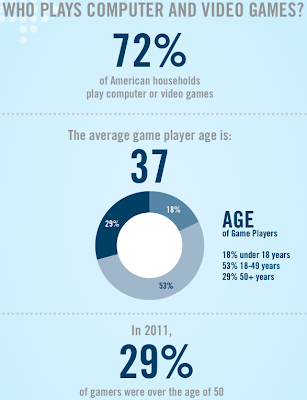 The report, 2015 Essential Facts About the Computer and Video Game Industry, also shows that 42 percent of Americans play video games regularly, or at least three hours per week. Other key findings highlight the social nature of game play. According to the report, 56 percent of the most frequent gamers play with others and 54 percent play in multiplayer mode at least weekly. More than half of the most frequent game players say that video games help them connect with friends and about half of them say that video games enable them spend time with family. The report also found that about 60 percent of parents whose children are gamers play computer and video games with them at least weekly. More than three-quarters of parents say they play with their children because it is fun for the entire family and an opportunity to socialize. 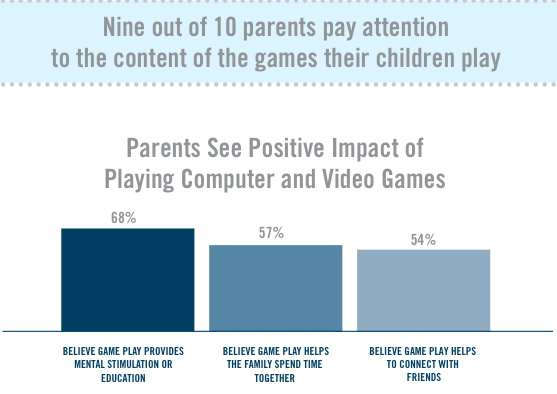 Additionally, 88 percent of parents whose children play games believe the Entertainment Software Rating Board (ESRB) video game ratings are either very or somewhat helpful in choosing games for their children. “The ESRB is the gold standard for systems that for provide parents with guidance that allows them to make informed decisions,” Gallagher said. 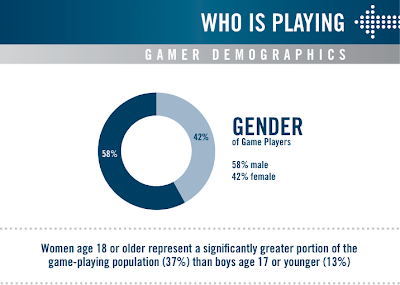 The 2015 Essential Facts provides statistics on gamer demographics, the types of games played and the kinds of game platforms used, the top-selling video games and other industry sales information. Consumers spent more than $22.41 billion on game content, hardware and accessories in 2014. Essential Facts About the Computer and Video Game Industry is the most in-depth and targeted annual survey of its kind. It is conducted for ESA by Ipsos MediaCT, which surveyed more than 4,000 American households. 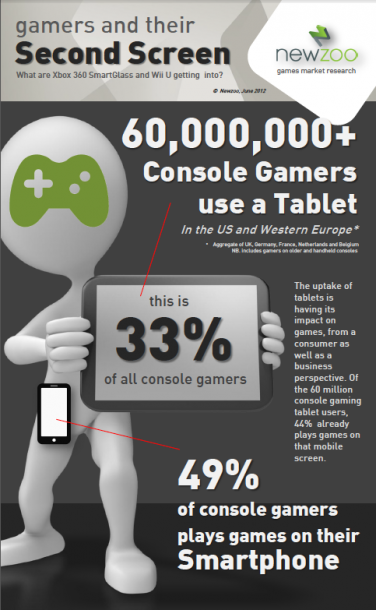 From my friends at Newzoo an infographic that displays the use of tablets amongst console gamers. You might want to pursue these brands… haha. The Entertainment Software Association is the U.S. association dedicated to serving the business and public affairs needs of companies publishing interactive games for video game consoles, handheld devices, personal computers, and the Internet. The ESA offers services to interactive entertainment software publishers including a global anti-piracy program, hosting the E3 Expo, conducting business and consumer research, representing the video game industry in federal and state government relations, First Amendment and intellectual property protection efforts. For more information, please visit www.theESA.com. Research done by Ipsos shows that over 50% of parents let children play games on their iPad that are not really suitable for them. I’ve been hearing this around my social network as well, but is that really a bad thing? I remember I was playing cops and robbers even before I had seen Miami Vice. Shooting people with fake-revolvers was fun. Can’t we compare playing shooter or aggressive games with playing in real-life? If you look at what Tom & Jerry did to each other you might wonder if those animation series should be rated 18+ or ‘Adult-only’… for some reason, no one seems to care….until it comes to games…? 18% of parents will let their tween boys aged 9-12 play video games rated adult only, and 36% will let them play games rated mature, provided a parent is playing too. 20% of parents will let children 6-12 go with them to R rated movies. 23% of children 6-12 regularly visit social networking sites and 41% of kids 11-12 do so, though membership in the sites is supposed to be limited to 13 and up. By age 11, half of kids have cellphones. Half of the time it’s the parents’ idea. Kids in the household are huge drivers of iPad penetration. 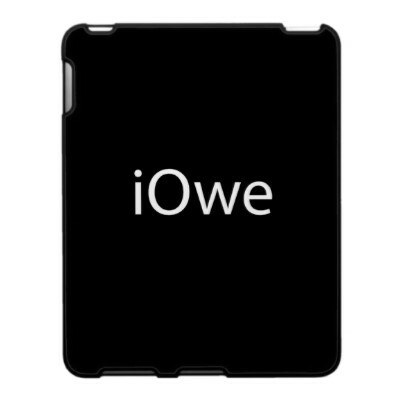 10% of households with children under 13 now have iPads, vs. only 3% in households without children 6-12. 35% of households with children 6-12 plan to purchase some brand of tablet computer in the next year. Over half of parents say their children should be able to go online on their own by age 6.